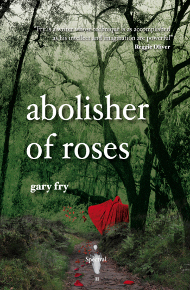 Stephen Theaker, in Theaker’s Quarterly and Paperbacks, had this to say about Abolisher of Roses, mentioning that it “lives up to the standard set by the first, What They Hear in the Dark by Gary McMahon”. Secondly, Des Lewis (of Null Immortalis fame) also wrote a review of Gary Fry’s chapbook in My Last Balcony, which you can find here. Finally, we have a combined review of Volumes I & II in the new online incarnation of that British institution, Starburst Magazine. The reviewer notes that “Spectral produces really superb signed, limited editions..” which is all you need to know, really. Anyway, you can find the review here, but you’ll have to login or register to see the review in full – however, I guarantee that it’s worth doing!